Death of Jakelin Caal in US custody highlights how land conflicts and displacement fuel flight from indigenous villages. San Antonio Secortez & Guatemala City - The plantations' outer edges begin fewer than 20km from where seven-year-old Jakelin Caal is buried. The deep green rows of oil palm stretch along rural roads in the Alta Verapaz department of Guatemala. Caal was buried in late December in San Antonio Secortez, a remote community in the municipality of Raxruha. 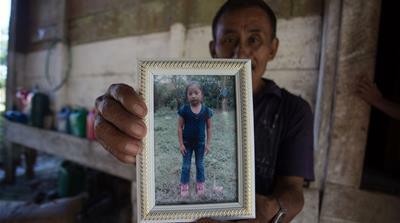 The Maya Q'eqchi' girl died in US border patrol's custody after crossing into New Mexico with her father, in search of better economic opportunities. The family survives from subsistence agriculture, farming corn and other staples in a small patch of land. They make about $90 every six months from selling the part of the corn harvest left over after feeding the family. "We could not plant any more since there was not any more land," Caal's mother, Claudia Maquin, told Al Jazeera the week of her daughter's burial in December. Q'eqchi' communities throughout eastern and northern Guatemala face a similar predicament. Families do not have enough land to survive from subsistence and market agriculture. The land in Q'eqchi' territory is largely in the hands of ranchers, large landowners and mining and palm companies. Land inequality and conflicts, low wages on plantations, food insecurity and displacement have fueled migration from Guatemalan farming communities, including indigenous villages like Jakelin Caal's. Q'eqchi' families in San Antonio Secortez cannot make ends meet, Martin Tut, a local Community Development Council representative, told Al Jazeera. "Everything is expensive here and we do not receive anything for our corn," said Tut, explaining that farmers in San Antonio Secortez make less than $10 per 100-pound (45kg) sack of corn. "We are forced to work in palm," he said, standing under a traditional palm-thatched roof for shelter from the incessant rain. Plantations of oil palm, also known as African palm, are taking over large swaths of southwestern and northeastern Guatemala, including the Alta Verapaz, Izabal, and Peten departments home to Q'eqchi' communities. The oil extracted from the palm fruits is used for biofuel and in all kinds of household products, from ice cream and instant noodles to lipstick and detergents. 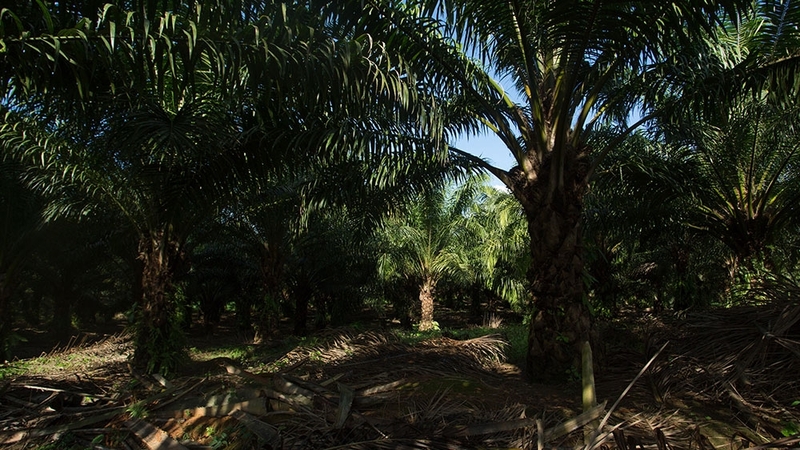 Land, labour and environmental conflicts around oil palm plantations worldwide have sparked consumer campaigns to push companies to remove palm oil from their products' ingredients. Indonesia and Malaysia dominate the global palm oil industry, together producing more than 80 percent of the world's total, but production in Latin America has more than doubled since 2000. Colombia is the fourth-largest palm oil producing country in the world, and despite their small size, Honduras and Guatemala are still among the top five top producers in the western hemisphere. The palm industry in Guatemala represents 1.2 percent of the country's gross domestic product and is largely comprised of Guatemalan companies supplying US and multinational corporations. The expansion of oil palm plantations has been accompanied by a host of problems around Guatemala, and the municipality of Raxruha is no exception. The rapid expansion there has intensified and sparked land conflicts, water shortages and labour disputes, according to a 2015 study about land tenure and palm in Raxruha commissioned by Congcoop, a network of non-governmental organisations. Home to more than 30,000 people, the majority of whom are indigenous, Raxruha is one of the country's newest municipalities. Before breaking off from neighbouring Chisec in 2008, large estates used primarily for cattle ranching dominated the area. Jakelin Caal's grandfather, Domingo Caal, grew up in the area and struggled to gain access to land for subsistence farming. Residents later won the right to land owned by former dictator General Romeo Lucas Garcia, and 16 communities were established. Lucas Garcia and his successor General Efrain Rios Montt both took power by military coup during the height of the 36-year armed conflict between leftist guerrilla forces and the US-backed army, which launched a counterinsurgency campaign. The conflict left 200,000 dead, most of them Mayan civilians killed by the army. A UN-backed truth commission resulting from the 1996 Peace Accords concluded that military forces carried out acts of genocide. And just last year, a Guatemalan court ruled that the state was responsible for genocide, though Rios Montt died before the verdict and his co-defendant was acquitted. Q'eqchi' communities were hard hit. The first major massacre of indigenous civilians occurred in 1978, when military forces opened fire on Q'eqchi' farmers marching for land rights. More than 40 years later, the unequal land distribution, displacement and structural racism that were among the root causes of the armed conflict still remain. 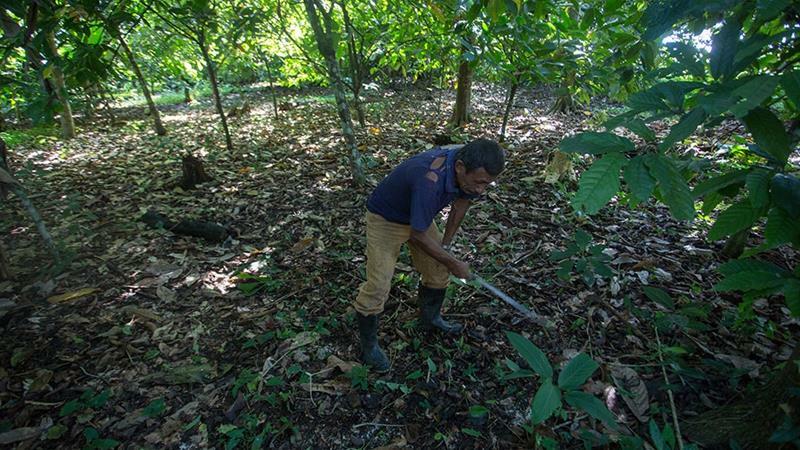 Long-standing land conflicts and the expansion of export crop plantations have continued unabated under the administration of President Jimmy Morales, which has done little to address indigenous concerns. Q'eqchi' families are now increasingly joining the US-bound exodus of Guatemalans. The overwhelming majority of them have fled quietly, not with the highly visible caravan groups of predominantly Honduran migrants and refugees over the past three months. Last year, more than 70,000 Guatemalans were apprehended either at the US border or in Mexico, according to data from the US Custom and Border Protection and the Mexican National Institute of Immigration. Jakelin Caal and her father Nery Caal were among them. The father and daughter were detained by US border patrol agents in early December along with dozens of other migrants and refugees. Jakelin suddenly became extremely ill during transport in custody and subsequently died. Autopsy results have not yet been released. People go to work on the palm plantations and then begin to consider going to the United States. Prior to heading to the US, Nery Caal and his brother Carlos Caal, Jakelin's uncle, had worked on a palm plantation in the area. Aside from subsistence farming, it is the only source of work for San Antonio Secortez residents. "The work was more intense every day and we were paid very little," Carlos told Al Jazeera outside his father's house, where people had gathered to mourn the death of Jakelin. They were paid 65 quetzales ($8.50) for a 12-hour workday, less than the minimum wage, but they also had to pay for lunch, leaving them with even less income, said Carlos. "There were nine of us who tried to demand better pay, but the company didn't want to listen," he said. "Nery was the one who took the initiative to ask for a pay increase. They accused him of inciting [unrest], and fired him. Those who raise their voices are fired," he said. Nery was fired after working on the plantation for six months. He is far from the only one in the area to see migration as his family's only chance to escape extreme poverty following underpaid work in the plantations. "People go to work on the palm plantations and then begin to consider going to the United States," Pedro Ico, the Raxruha municipal government spokesperson, told Al Jazeera. The expansion of export crop plantations has also spurred US-bound migration of small-scale farmers from southern Guatemala, from lowland Pacific coastal areas home to large-scale plantations of oil palm, sugar cane, bananas and plantains. The rapid expansion of palm and sugar cane has devastated local farming communities, according to Abelino Mejia, a community leader from Champerico, a municipality in the Retalhuleu department. Part of a multi-community council confronting the agribusiness sector, Mejia is also a member of the National Network for the Defense of Food Sovereignty in Guatemala. "Before there was palm and before there was sugar cane, which are the principal crops in the Champerico area, we farmed watermelon, cantaloupe, cucumber, tomato, chile, papaya and other crops that helped our families subsist and also generated work," Mejia told Al Jazeera. Most subsistence and small-scale farmers in the area do not own the land, instead the lease plots of state and private lands to farm, he said. That began to change in 2005, when palm and sugar cane companies moved in to take over land rights for plantations, raising lease rates and draining water sources used by those small farmers who still had access to land. "People have been displaced. Most of them have had to migrate," said Mejia. Guatemala there are really no opportunities," he said. As in Raxruha, earnings for labouring on plantations in the Champerico area is less than the minimum wage, paying roughly seven dollars for a long day's work. With the wages failing to nourish their families and growing plantations harming their farms, small-scale farmers have banded together to fight for access to land and water. "The people have been alone in a struggle, clamouring for our rights to be respected, for water, for a means of living, and our voices are not heard," said Mejia. "But we understand that this is an economic model being imposed on us and that state institutions are at the service of industry." Jeff Abbott reported from San Antonio Secortez in the Raxruha municipality of Guatemala and Sandra Cuffe reported from Guatemala City.